Responding to society’s demands for services such as wood production, recreation, biodiversity provision and carbon storage, the project will look at innovative ways to value and implement such “forest ecosystem services”. 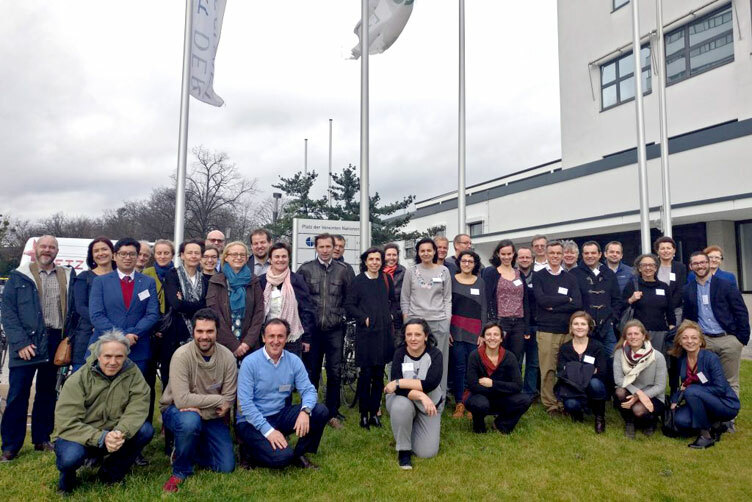 Spurring INnovations for forest eCosystem SERvices in Europe (SINCERE) is a four-year project funded through the European Commission’s H2020 programme. SINCERE will develop novel policies and new business models by connecting knowledge and expertise from practice, science and policy, across Europe and beyond. An international Learning Architecture will facilitate continuous collaborative learning from the project’s case studies, which are located in nine regions in Europe and two international cases in Peru and Russia. Innovations developed through SINCERE will be intentionally varying in nature but all will unlock the potential of forests to support a transition towards a green bioeconomy, where sustainably managed forests provide functions and services that meet a broad spectrum of societal demands. SINCERE innovations will be replicable in Europe and beyond and will contribute to the development of a coordinated European policy framework to maximise the value to society of forest ecosystem services and their sustainable provision. To kick-start the project’s activities, 43 partners from 22 organisations and 11 countries met in Bonn, Germany, for the Kick-Off meeting of the project. The event took place in the historic “Seminarraum”, where meetings of the German Parliament’s Council of the Elders once took place, and where the EFI Bonn Office and Resilience Programme has recently established its offices. Presentations from work package leaders gave an overview on the objectives of the project and tasks ahead. Subsequently, the eleven innovation cases were introduced, spanning topics such as biodiversity, carbon storage, spiritual services and tourism and introducing mechanisms such as auctions for ecosystem services, certification, leasing, new laws and participatory governance. Altogether, the presentations indicated not only the importance and timeliness of the topic of innovation for forest ecosystem services, but also the potential to advance innovation and a supportive policy environment for this issue in Europe and beyond. The SINCERE project consortium comes from Belgium, Croatia, Denmark, Finland, Germany, Italy, Peru, Portugal, the Russian Federation, Spain and Switzerland. SINCERE receives ca. 4 Mio Euro in funding from the European Commission’s H2020 programme through the RUR-05-2017 call, Novel public policies, business models and mechanisms for the sustainable supply of and payment for forest ecosystem services.